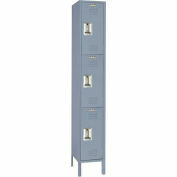 Available in single tier, double tier and box locker styles. 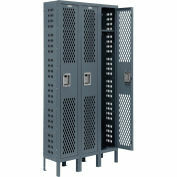 Perforated locker ensures maximum ventilation while providing complete visibility to contents. 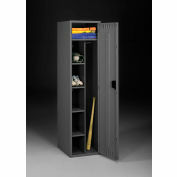 14 gauge doors supply exceptional durability while the 16 gauge welded door frame & body provides added strength. 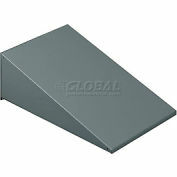 Knuckle hinges offer added content protection and long life. 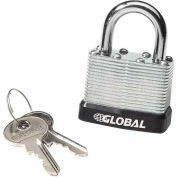 Rugged padlock hasps for security. 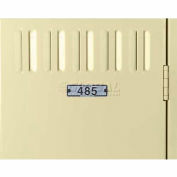 Includes blank paper number plate with clear plastic cover. 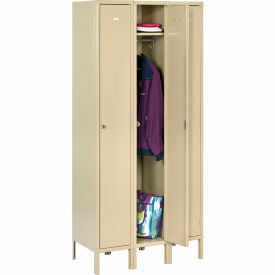 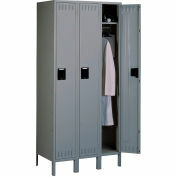 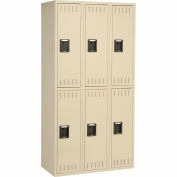 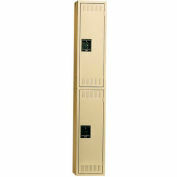 Add 6" to locker height for lockers with legs. 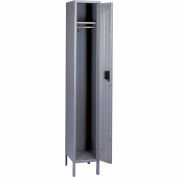 Single Tier comes with 3 coat hooks per opening, one coat rod and top shelf. 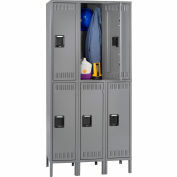 Double Tier comes with three coat hooks per opening. 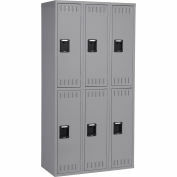 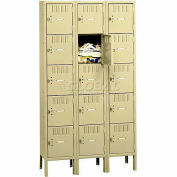 All-welded lockers are not returnable.